Because we live in a world where everything is politics now, a fairly small protest was enlarged by our thin-skinned president, the media and people acting in bad faith miscommunicated that these were “anthem protests” instead of “protests against inequality and racial injustice during the anthem” and now the monolith that is self-proclaimed “Shield” has become white-hot controversial. This Morning Consult poll is indicative of the changing attitudes within the Republican Party. Here are the top 10 most polarizing brands in America, along with their net favorability rating in parentheses (meaning that Trump Hotels is -52 amongst Democrats and +48 amongst Republicans, so its net favorability is +100 Republican). Raise your hand if you can spot the commonality here. 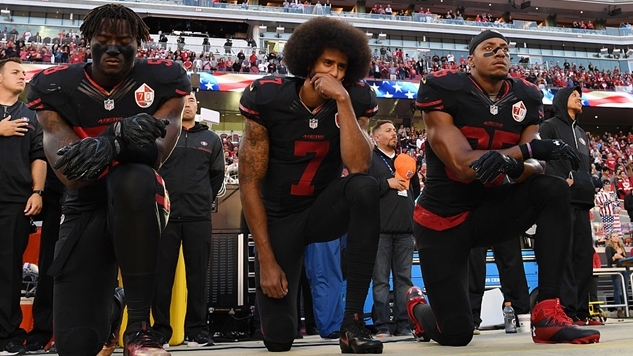 Within a couple weeks of Trump’s broadside against the NFL, the league has fallen in with the mainstream media as one of the most widely despised entities on the right. Don’t ever let anyone tell you the Republican Party is not the Party of Trump. All available data proves otherwise.